Galerie Louise Leiris, Paris (013575). Hokin Gallery Inc., Palm Beach, Florida (C1-82254). 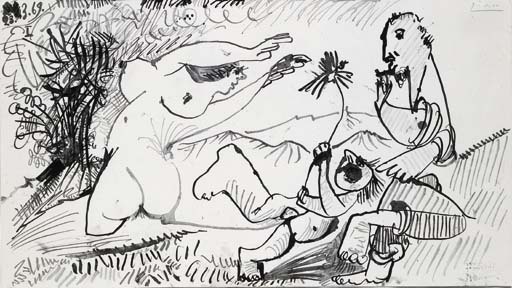 C. Zervos, Pablo Picasso, vol. XXXI, Oeuvres de 1969, Paris 1976, no. 111 (illustrated p. 36). Please note that the work is dated and inscribed '23.3.69. Dimanche I' (on the reverse).